Vote centers, rather than traditional polling places, have made their appearance in five California counties, including Madera, Napa, Nevada, Sacramento, and San Mateo. The centers are designed to “provide greater flexibility and convenience for voters” and are based on the California Voter’s Choice Act (VCA), according to the California secretary of state. Approved in 2016, the VCA provides all California voters three choices in terms of how to vote. After the voter receives a ballot, which is supposed to be mailed to the voter a month before the election, they can choose to mail it back once it’s completed or drop off the ballot at a designated drop box. People would also be able to visit a vote center. Californians will no longer be required to go to the polls on Election Day, since the vote centers will open 10 days prior to an election to accept ballots. In addition, the vote centers will let people register on the same day, update voter registration, drop off ballots, or vote using an accessible voting machine. People will be able go to any vote center within the county they reside in; the number of vote centers will depend on the county’s population and the time. During the weekend and on election day, one vote center will be required for every 10,000 registered voters. At other times, one vote center is required for every 50,000 registered voters. Fourteen California counties were given the opportunity to try out the new election system in 2018; Los Angeles County and the others have been preparing to establish the new election system in 2020. “The biggest difference between a traditional polling place and a vote center is that it really changes the game in terms of when, where and how a voter is able to cast his ballot,” Los Angeles County Clerk Dean Logan told NBC. In addition, Los Angeles County is planning to outfit its vote center with multi-language ballot-marking devices. Voters will even be able to fill out a sample ballot online and get a poll pass in QR code on their smartphones. The QR code allows voters to scan on the ballot-marking device, and then transfer and cast their selections onto a paper ballot. 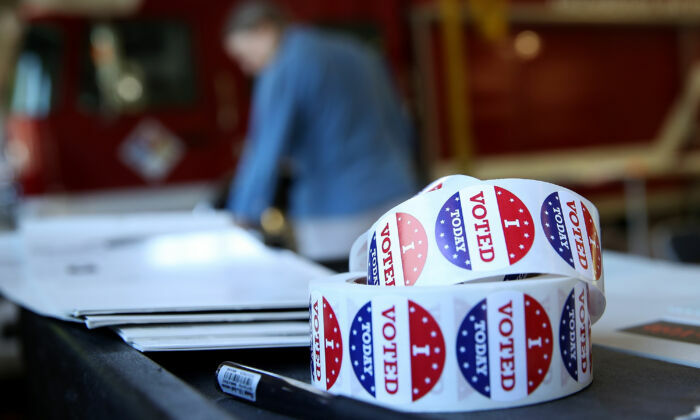 Election officials from the five California counties that used vote centers and mailed ballots to all voters for the June primary reported that the new model appeared to boost turnout, according to Associated Press. The same model is planned for the November election. A recent study, based on 2016 data, found California to be the third-easiest state to cast a vote, in terms of registration law and policy.